Is your business making plans to celebrate Earth Day 2018? Get your employees involved in a few eco-friendly activites to make a green footprint on your corner of the world. Here are a few ideas for not just Earth Day but any day of the year. If you have the space at your location, what a great way to celebrate Mother Nature and make a mark that is a reminder year after year of the growth of your business. Not to mention, a tree can add beneficial shade to your space. No space? See where in your community could use some volunteers to plant a few trees, and help educate your community on the benefits of trees. It's true that plants can help the quality of indoor air and oxygen. They bring life into a space and add a personal touch. Ask your employees to bring their favorite plant on Earth Day. One of the most used pieces of equipment in many offices is the big printer that never seems to get a break. Opt for digital copies on some things verses print copies. Maybe have one day a week where the printer is off limits if you can swing it. You will save paper as well as energy! And, your office team will realize how much they can do without relying on the printer all the time. If you don't have to have all your employees in, allow those who can do their work from home for the day. Perhaps you will find that some do not have to make that drive every day to be productive and will incorporate this into some positions for employees to telecommute more often. Turn off the lights, put the computers in rest mmode and get some time outdoors...it's Earth Day, afterall. Maybe plan a walk in groups at a local park. Enjoy the fresh air. Go to a nearby botanical garden. Go in shifts if you can't leave your business unattended at any point. You will be surprised how rejuvenated you and your team feel to be around nature's energy. 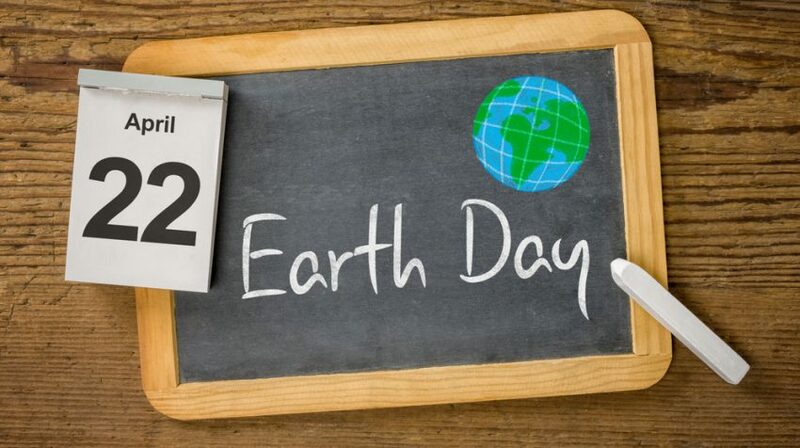 Have any other ideas for how your small business celebrates Earth Day? We would like to hear from you! High Voltage partners with Safe Haven of Tarrant County, Texas to fight domestic violence. In 2013 High Voltage launched a utility fund to assist women in transitional housing to help pay their monthly electric bills.